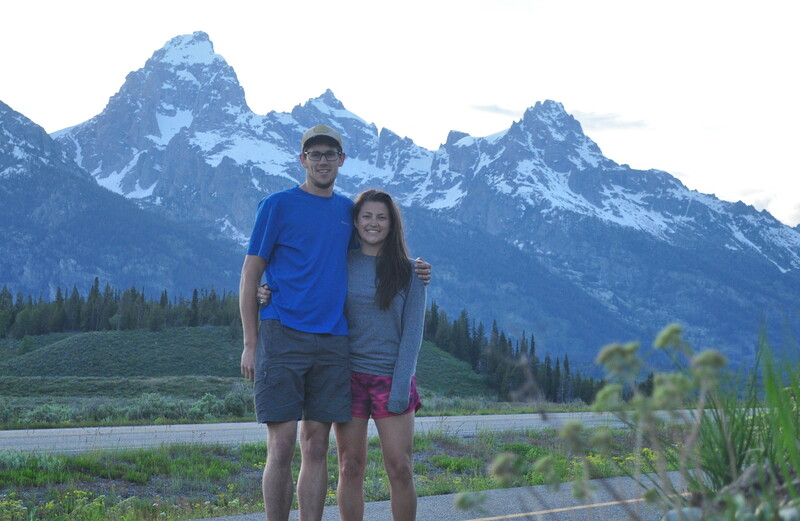 Before we made the decision to live in a tiny house, I had a list of expectations in my head. I thought it would be difficult to make such a big transition. I thought I would miss closet space and a dishwasher. I thought I would feel confined and stir-crazy. Most of my fears were totally off base. Though we do face minor, every-day challenges, I absolutely love our little home, and I wouldn’t change a thing. After a few months of living the tiny life, here’s what I know now. 1. You Find Out What’s Important to You. Before we moved into the tiny house, we had to purge a lot of our stuff. At the time, I’ll be honest, it was painful. I had a lot of keepsakes from college, and clothes I promised myself I would wear someday. Mostly, though, it was junk I had accumulated over the years and had never been forced to sort through. At first, nostalgia for my belongings made it really hard to let go. But it got easier. Removing useless items from my life was refreshing. Now, a few months later, I realize that I haven’t missed even one thing that I got rid of. The things I kept are truly important to me, or serve a real purpose in my life. The clothes in my miniscule closet are worn frequently, our limited wall space is chock-full of sentimental photos and art, and our kitchen drawers have only the essential utensils and tools (no electric can openers in this household). 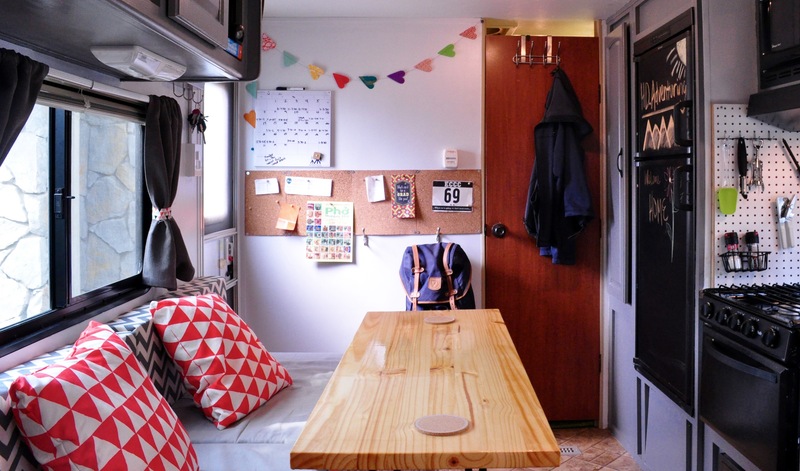 Though what is important may have a different definition for every individual, living in a tiny home will force you to recognize what these things are to you. And it’s a beautiful, beautiful thing. Just as you must get rid of things before moving into a tiny house, you also can’t buy things as freely once you don’t have excess space for them. For me, this makes it pretty painful to walk through the home goods section of TJ Maxx. Home decor has always been a weakness for me, and it is sometimes difficult not to impulsively buy a new throw pillow or a cute holiday accent. Also, both Dana and I are suckers for outdoor gear, so we are having an especially tough time avoiding the Patagonia outlet in Santa Cruz, and the REI in Monterey. Our rule is that for every new purchase, we must get rid of an existing item. This makes it much harder to spend frivolously, and much easier to save money. The more often we walk out a store empty-handed, the easier it gets. And because of it, our self control and our bank accounts are growing. Though it may be easier to create a mess in a tiny home, it is also so much easier to clean up a small space. Our home can go from utter chaos to squeaky clean in less than 30 minutes. After all, it’s faster to dust, sweep, and organize one 8’x20’ room than an entire house. A mess in a tiny home is deceptive, because just a small amount of clutter can seem overwhelming. But luckily this means that just a small amount of cleanup feels very productive and gratifying. Cleaning our tiny space is so easy, we can’t imagine having to clean a full-sized house ever again. I have 8 lonely socks in my drawer. I am missing two pair of sunglasses. I can’t find my favorite water bottle. And I feel like I’m going crazy. How can things go missing in such a small space? Either there is a parallel universe where I never owned these items, or tiny houses have the same greedy black hole that inhabits every home. I can’t explain it, but things do still go missing. 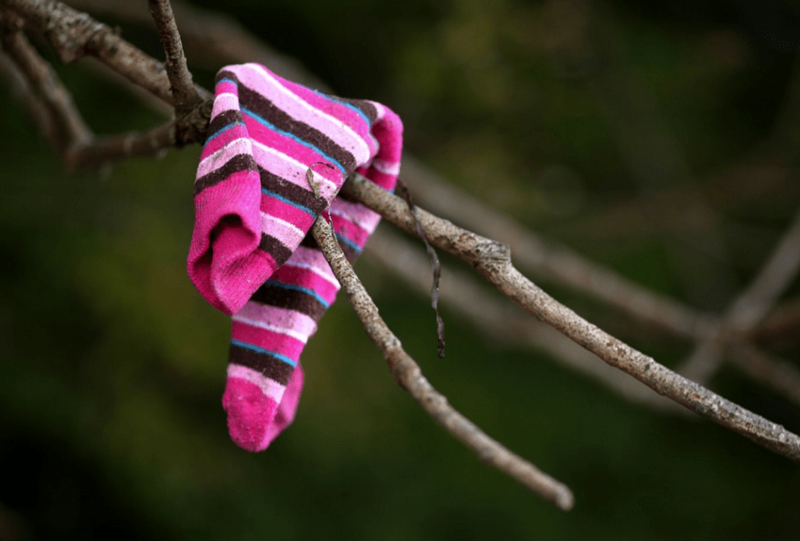 Is that where I left my sock? Luckily I’m the type of person who wakes up and walks out the door 5 minutes later. I couldn’t imagine trying to straighten my hair or apply makeup in our barely 3×5 bathroom. Dana and I have to alternate who gets to brush their teeth first at night. And maybe not all tiny homes have an equally tiny shower, but ours does, and it’s no walk in the park. We built an outdoor shower (read about it HERE) to avoid it, but recently I’ve been showering inside when it’s too cold and dark in the mornings. Today I had to shave my legs in there for the first time, and it was a better yoga practice than the $15 dollar classes I’ve been to. I won’t lie to you, tiny bathrooms are one of the bigger challenges of this lifestyle. You do get used to it, however, and you’ll come to find a routine and tricks to make it easier. So there you have it. 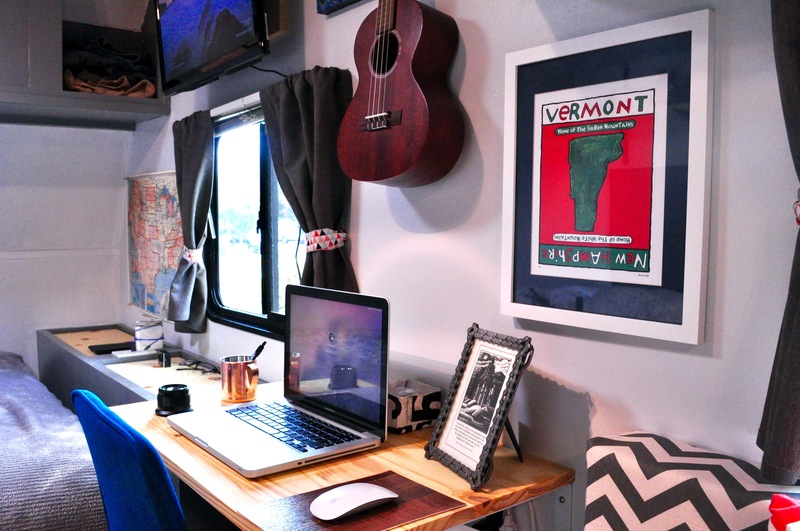 6 Things I’ve learned so far while living in a tiny home. The benefits greatly outweigh the challenges, and things get easier as you grow accustomed to this lifestyle. Have you figured out the black hole in your tiny house? Or come up with a great solution to the bathroom dilemma? Let us know your ideas or questions in the comments! I often think about things like this when the idea of living in that small of a space comes to mind! I also just LOL’d hard enough that Elise looked at me when I read the line about Yoga, haha. Great reading about you two! Keep on keepin on! Not sure if I missed it or not, do you guys travel a lot or do you stay in one place because of work? I was just wondering about your water–both grey and black. As well as electricity issues? I want to do the same kinda thing you guys are doing and am trying to research as much as I can. Hey David! We have left our trailer in one place for the last bit, but do have the capability to move it. We like living in our current place quite a bit, so aren’t in any rush to move just yet. We are lucky enough to live in the country, so can put our blackwater into a pit, and compost it, while our greywater feeds our garden. We have a super thick extension cord that powers the trailer. If you have any more questions feel free to ask here, or email us at hd.adventuring@gmail.com. Thanks for commenting! 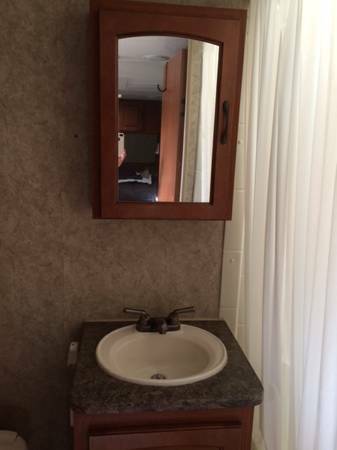 I just discovered your blog and all the lovely work you did on your trailer. It looks great! I could so relate when you said it was hard to go to the home décor sections of stores and not buy a new pillow. Wanted to share this tip that a friend of mine does. She buys napkins and sews them into pillow covers so she can have a different look all the time, but the covers take up very little space! I love your tiny house! In a couple of years when our kids are out of high school and off to college, the hubs and I are planning to move into a 5th wheel. At the same time, my son is planning to build a smaller tiny house. 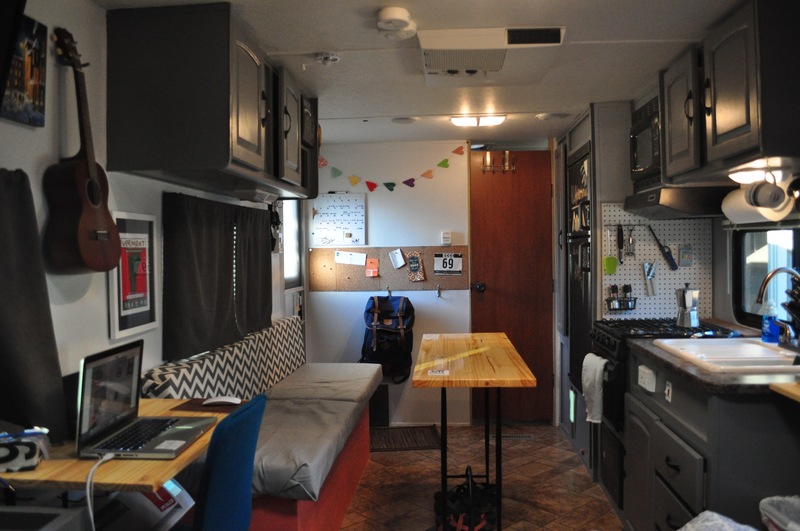 Your trailer to tiny home conversion has given all of us a new perspective on how to a) make a home out of what is generally decorated like a 1970’s-era motel, and b) realize that tiny homes don’t have to start with, “first you buy a metal floor on wheels…”. Thanks!! Thanks Sophia! That sounds like an awesome plan! Yeah, I really wonder why RV’s all have that same strange look? Glad we could provide some perspective! Keep us posted on your progress, we’d love to see how you’re coming along! What year and model rv did you guys restore? I’m wondering about weather proofing on older units?